Sixteen-year-old sharpshooter Amani Al'Hiza never doubted she'd escape the miserable one-horse desert town where she was born. Getting out had always been the plan. But she never figured she'd wind up running for her life-with a boy wanted for treason. 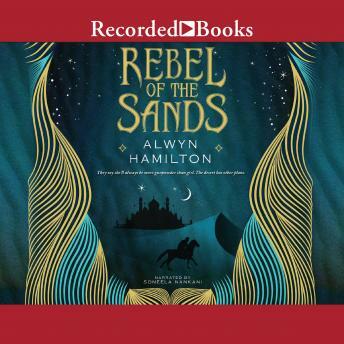 When Amani enters a disastrous shooting contest against Jin, a rakish foreigner, she has no idea of his connection to the ongoing war between the ruthless Sultan of Miraji and his exiled son, the Rebel Prince. But soon the pair are fleeing across a desert crawling with vicious bandits, terrifying ghuls, and powerful djinni, and the Sultan's army is getting closer every day. When Amani and Jin stumble across the ruins of a town destroyed by an unearthly fire, it's clear the war's stakes are higher than either of them realized. The Rebel Prince has a secret weapon, and now he wants Amani to join his revolution. All Amani ever wanted was to escape the desert and find adventure-but will the desert let her go?